Innovatech Labs is an independent, analytical laboratory that specializes in personalized lab testing services, rapid turnaround times and innovative approaches to materials analyses. Established in 1990, Innovatech Labs offers a broad range of analytical lab testing techniques. From solving complex problems to routine quality control testing, our staff of scientists have years of experience in materials analysis. Our commitment is to finding the answers to your materials analysis questions. Gary has over 25 years of experience in surface analysis and materials characterization. He started with Innovatech Labs in 1991 and became the owner and president of the laboratory in 1998. 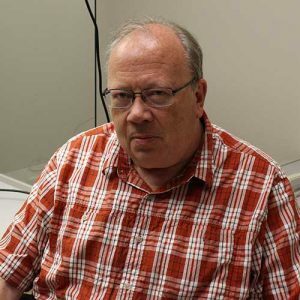 Besides the administrative work, Gary still maintains and operates the surface analysis equipment in the laboratory. In his spare time, Gary enjoys reading, gardening and spending time with his cat, Millie. Gary is also an avid Minnesota Twins baseball fan and has followed them for over 35 years. Jennifer has been working with materials characterization since completing a BS degree with a double major in Biology and Chemistry. She has been with Innovatech Labs since 1993. In addition to analytical work, she is in charge of most of the sales &amp; marketing duties. 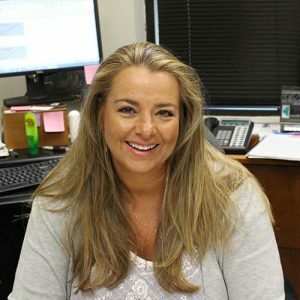 Away from work, Jennifer enjoys many outdoor activities, spending time with her daughter and is an active volunteer in 4H and with several animal rescue groups. 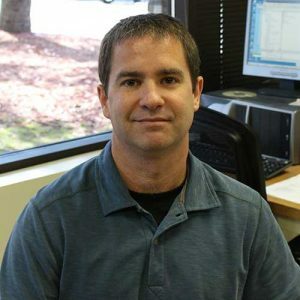 Matthew has been with Innovatech Labs since 1999 where he primarily does GC/MS analyses. He graduated from Montana State University-Bozeman with a BS degree in Biology in 1997 and is forever living on “Montana time”. Away from the lab he enjoys being on the lake with his teenage son, working on his poker skills, hanging out with family and friends, grilling, reading or watching a movie. 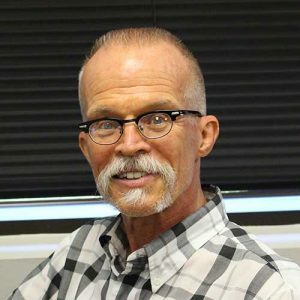 John has over 30 years of experience in chemical analysis, failure analysis and materials characterization since completing a BA degree in Chemistry. During that time he has worked in infrared spectroscopy, chromatography (MS, GC/MS, GPC, LC), thermal analysis and wet chemical analysis. He has been with Innovatech Labs since 2013. When not at work John enjoys reading, gardening, cooking and spending time with his family. Jordan has been working as analytical chemist in materials characterization and developing methods since completing a BS degree in Chemistry with Physics minor and strong Mathematical background. She has a wealth of experience with spectroscopic and chromatographic techniques. She has past work experience in Academics, Pharmaceuticals and Semiconductors. 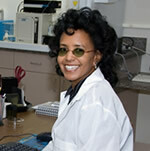 She enjoys the challenges and rewards of her work that have led to publications in chemical journals and a patent. Currently she is involved with IC, LPC, FTIR and Bombing analysis. Away from work, Jordan enjoys espresso coffee with family members and friends. She loves reading, studying, playing chess, listening to instrumental and opera music and most of all helping people. She spends some her vacation days in voluntary work. She lives by the golden rule “treat other people as you want be treated” and helps others to apply it in their lives.